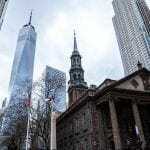 New Orleans, or “The Big Easy” as it’s affectionately nicknamed due to the easy-going way of life adopted by its inhabitants, is one of the most visited cities in the US. Our comprehensive guide to the best things to do in New Orleans will provide you with plenty of information about New Orleans attractions and activities to fill your itinerary, and make the most out of your time in this multicultural city. 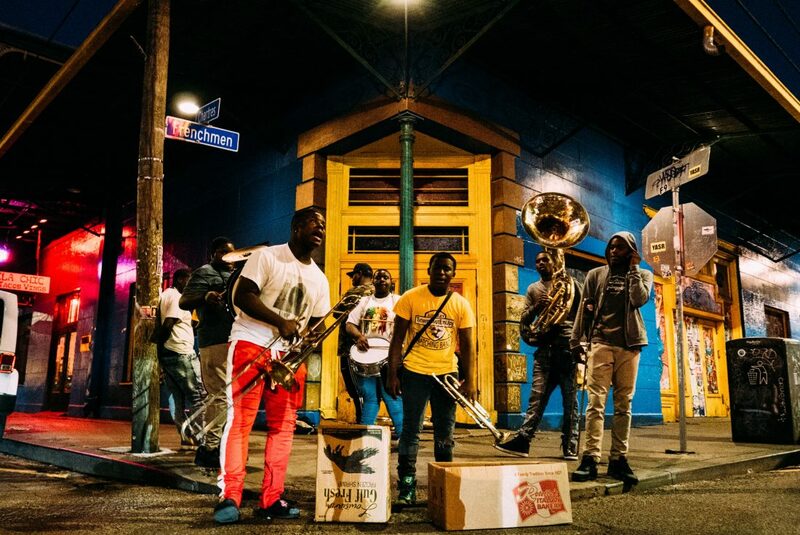 Live music from jazz to rock can be heard drifting from venues’ open windows, buildings showcasing the city’s unique history line the streets, and the distinctive aromas of gumbo and beignets waft from cafes and restaurants which are alive with the chatter of tourists and locals. Its world renowned cuisine brings together Caribbean, African, and European influences to create truly unique dishes to delight your taste buds. The people of New Orleans also really like celebrating, and we mean they really like it. We’re not exaggerating when we say there’s a festival or parade every week of the year! Celebrations pay homage to New Orleans’ cultural, musical, and artistic heritage, as well as to the traditions that are held dear by the people. New Orleans has a unique cultural heritage that can’t be found anywhere else in the world. Life’s most basic pleasures are integral to life in New Orleans, where eating, drinking, and a distinct musical energy are essential components of most activities. 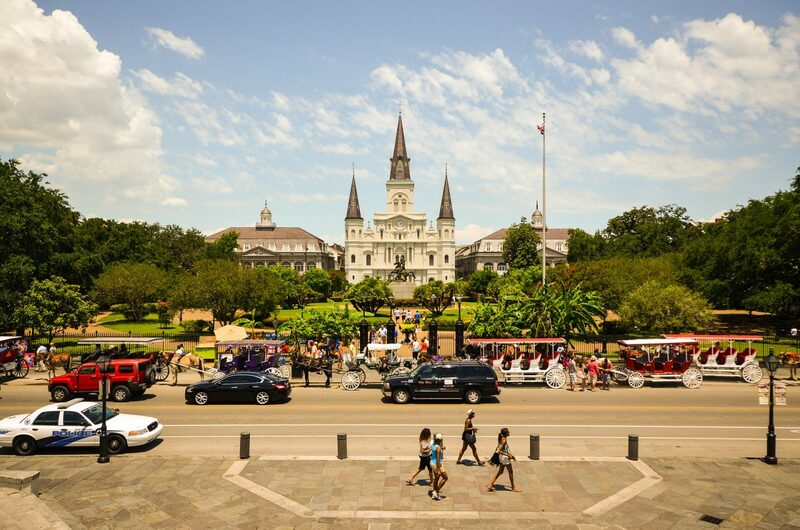 With its multicultural charm and unique atmosphere, it’s no surprise that New Orleans is one of the most visited cities in the US. 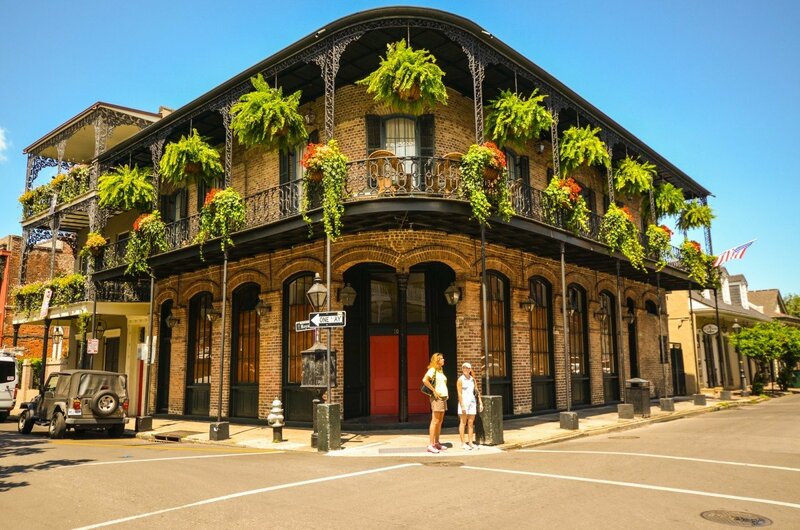 The tourism industry in New Orleans has boomed over the last 10 years, as a result plenty of accommodation options have sprung up around the city to suit any budget. 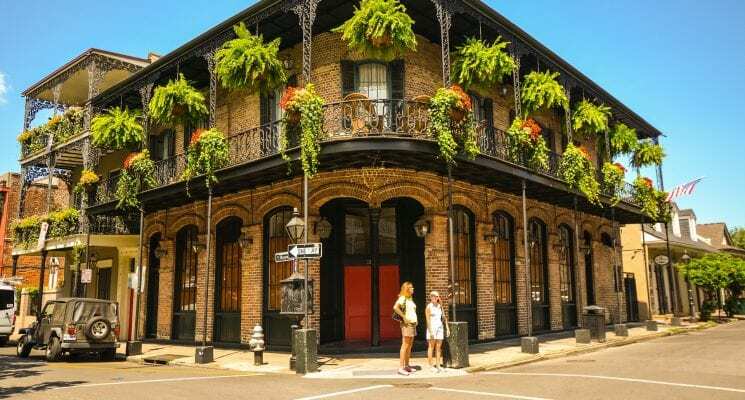 We’ve mentioned a few fabulous budget accommodation choices in this guide, but if you want to widen your horizons or splash out a bit, then check out our comprehensive article about where to stay in New Orleans, which provides budget and luxury options to suit your budget. The French Quarter, the most historic neighborhood in New Orleans, is guaranteed to provide plenty of sensory entertainment for the day. The French Quarter is the heart of New Orleans, and encompasses the city’s multicultural history, lively atmosphere, and architectural splendors. You’re probably familiar with images of the French Quarter, which depict colorful buildings, wrought iron balconies, and vibrant nightlife. Put on some comfortable walking shoes and spend an afternoon roaming the narrow streets, listening to the local musical talent, and delighting in the unique cuisine on offer here. You can pick up a map of the city from the Visitors Bureau, which will help you plan out your route and make the most of your time here. Jackson Square is situated in front of the cathedral, and provides a stage for countless street performers to showcase their talents. Free entertainment is definitely a plus when you’re visiting New Orleans on a budget, or otherwise! Once you’ve taken in the picturesque architecture of the French Quarter, make a pit-stop at one of the many restaurants, cafes, or bars to fill your rumbling stomach with some irresistible New Orleans cuisine. 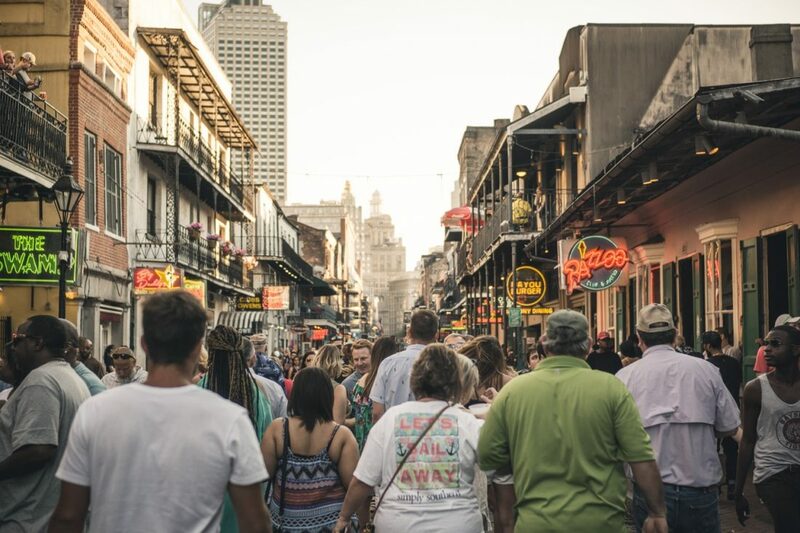 The streets are lined with quintessential establishments where you can relax and watch New Orleanian life pass by around you as you munch on some traditional food (more on that later!). If you’ve got enough energy left when the evening sets in, prepare to be delighted as the streets come (even more) alive with live music which can be heard from the many jazz bars that keep alive the musical traditions of New Orleans. New Orleans does festivals better than anywhere else in the world. The lively city is awash with festivities year round, regardless of the weather. Over 400 festivals are celebrated in the state of Louisiana, with New Orleans alone celebrating over 130. During festivals, locals and visitors can soak up the lively atmosphere, where people dance, sing, eat, drink, and celebrate all night long! New Orleans is known all over the world for Mardi Gras. This historical festival can be traced back to medieval Europe, and is definitely one of the most coveted New Orleans attractions. 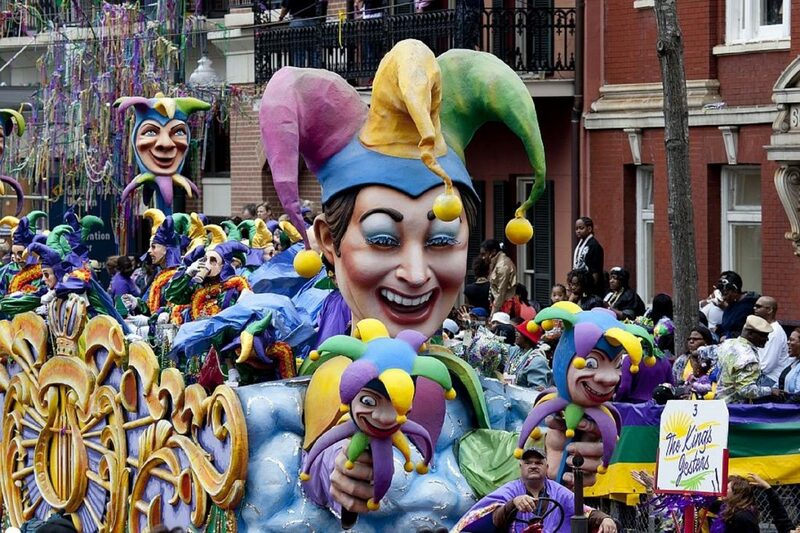 With the arrival of the French colonies to America, came Mardi Gras. The festival has been rooted as part of the city’s traditions ever since. Mardi Gras usually takes place during February or March, during which Mardi Gras “krewes” take to the streets with floats, marching bands, dancing, and crazy costumes. If you’re lucky enough to time your visit to coincide with Mardi Gras, and can handle the crowds, then it truly is a once in a lifetime experience! If you book well enough in advance, it’s still possible to enjoy Mardi Gras if you’re visiting New Orleans on a budget, but be aware that this enticing event does come with some price hikes from local hotels and restaurants! For travelers looking to completely avoid the crowds and costliness of visiting New Orleans during Mardi Gras, you can still learn about the fascinating history of the festival at The Presbytère, which is one of the most famous New Orleans attractions. You can find a fascinating exhibit dedicated to the festival, with parade floats, costumes, music, and all! Okay, it’s not quite the same as experiencing the revelry first hand, but it’s a good way to spend an afternoon! 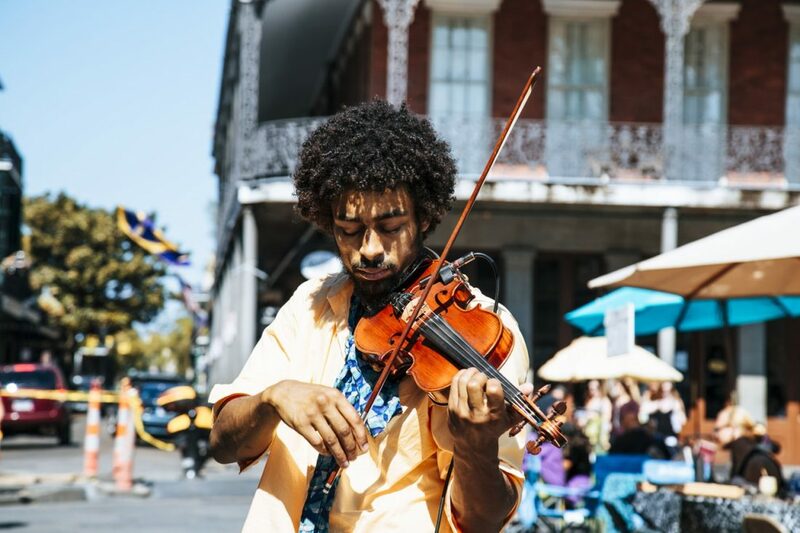 Other festivals that provide great entertainment for visitors to the city include the New Orleans Jazz and Heritage Festival, the Voodoo Music & Arts Experience, the French Quarter Festival, and the Oyster Festival. For an extensive list of festivals in New Orleans and when they occur, take a look here, and find something that grabs your attention. At the beginning of the 20th Century, musicians in the city of New Orleans birthed the iconic style that became known as Jazz. Jazz music combines influences from European and African music styles, to create something which was innovative and experimental. Jazz was a sure hit, with its lively rhythm and feel encapsulating the spirit of the city and its traditions. One of the world’s most famous pioneers of jazz, Louis Armstrong, was born to a poor, single mother in New Orleans in 1901. Louis taught himself the coronet and sang on street corners around the city, and soon began to immerse himself in the diverse music scene, associating himself with some key figures in the movement. Over 100 years later and New Orleans still remains the jazz capitals of the world, and the genre still dominates live music throughout the city. If you’re a jazz fan, then you’ve definitely come to the right place. Dotted throughout the city you’ll find plenty of spots to hear fantastic live music, and most of the time you won’t even have to look for it. New Orleans is awash with street performers, who happily provide free entertain to those willing to listen for hours on end. Take a minute to stop and listen, and discover the musical talent that’s in the blood of New Orleanians. Bourbon Street in the French Quarter is a popular tourist spot, with bars often playing live music. 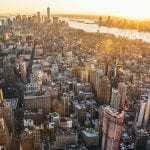 However, it can get notoriously rowdy, and is more often than not packed with tourists who’ve had a few too many. The Spotted Cat Music Club on Frenchman Street is your quintessential New Orleans jazz bar. This family friendly venue has a chilled atmosphere and intimate setting, so you can enjoy the music. New Orleans dive-bars aren’t like dive-bars in other cities, which most people would be likely to avoid. More often than not they’re favorites among the locals, and double as low-key music venues which don’t attract the hordes of tourists. 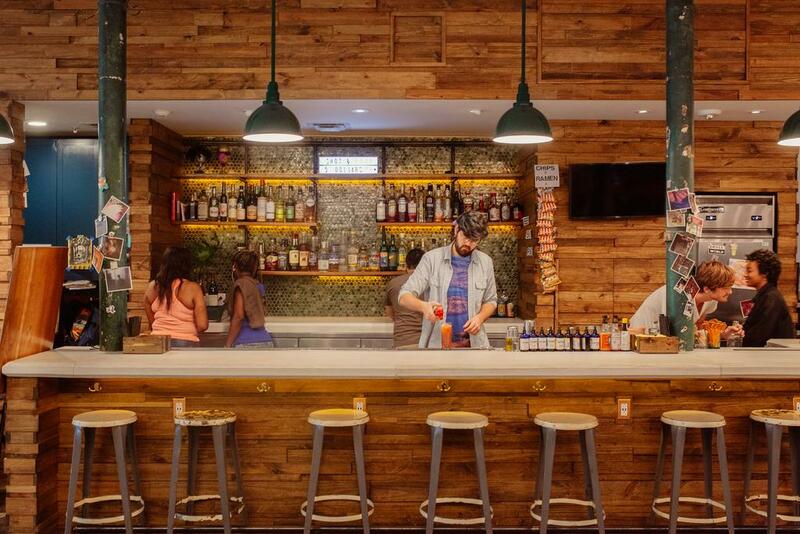 Head to Le Bon Temps Roule on Magazine Street and get a feel for the way of life in this wonderful city. The free oysters Friday evenings (starting at 7pm) are another great reason to stop by! 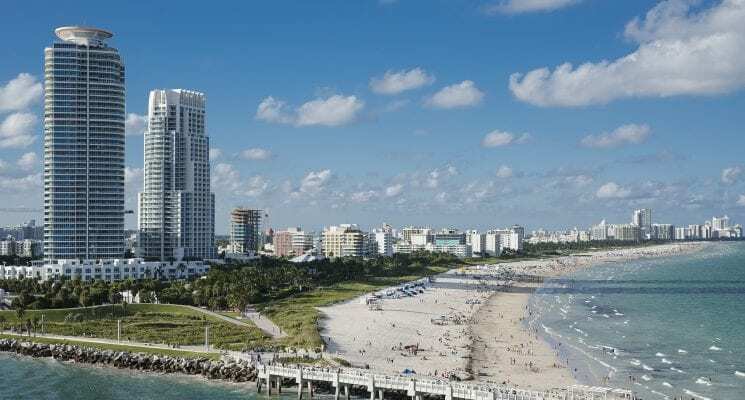 The best way to discover the best jazz spots, and the favorites among locals, is to simply ask! Strike up a conversation with your host at your hotel or hostel – they’re sure to know the best spots! If you’re never tried a beignet before, then sampling one of these deep-fried pockets of deliciousness is simply a must-do on your list of things to do in New Orleans. Beignets were brought to Louisiana by the Acadians, and they’re essentially fried dough coated in powdered sugar. Admittedly, beignets are not the most healthy snack, but they taste pretty damn incredible. Cafe du Monde is a historic restaurant located in the French Quarter of New Orleans, in one of the oldest buildings in the city. The coffee stand first opened in 1862, and has since kept in line with tradition – serving only beignets and coffee. It’s the most popular spot in New Orleans for tourists and locals to indulge in fresh beignets and chicory coffee (another New Orleans staple), so it can get pretty busy at times. 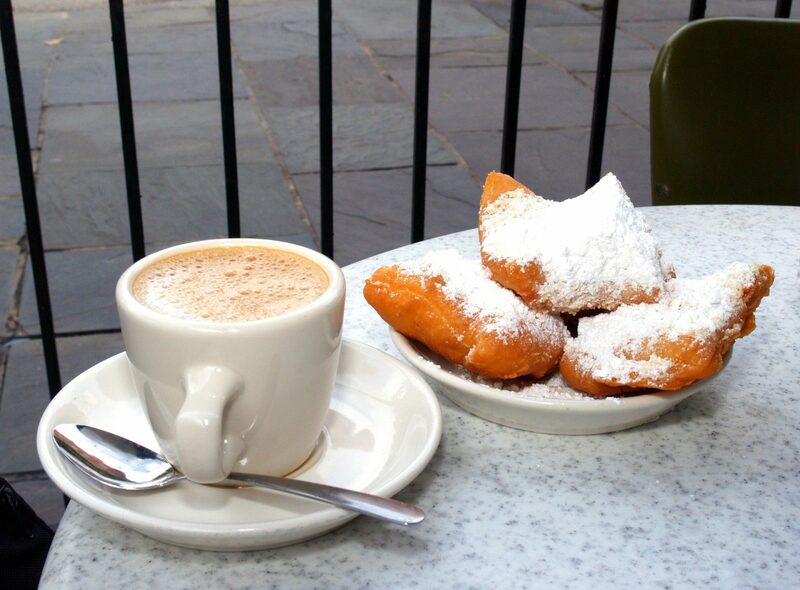 We recommend timing your visit to Cafe du Monde well, to avoid queues and a crowded atmosphere. It’s less busy early in the morning and late at night, and weekdays are definitely better. Beignets go perfectly dipped in coffee, and at Cafe du Monde you can get 3 mouth-watering beignets for just $3! They keep it simple at Cafe du Monde, and offer just two types of coffee: cafe au lait (coffee with milk) or black coffee with chicory. The use of chicory in coffee goes back to the days when there was a coffee shortage, and the Creoles starting adding chicory to coffee to stretch their supplies. A visit to Cafe du Monde is the perfect way to satisfy your sweet tooth when exploring New Orleans. The New Orleans Museum of Art (NOMA) is situated in City Park, and is oldest fine arts museum in the city. The permanent collection houses over 40,000 objects spanning from the Italian renaissance to the modern day. NOMA is one of the most famous New Orleans attractions, and brings in art enthusiasts from all over the world. The $12 entry fee to the New Orleans Museum of Art is definitely worth the price of admission to see plenty of canonical works by artists such as Degas, Pollock, and O’Keeffe. The museum also hosts a comprehensive array of French art, showcasing many works by the French impressionist Edward Degas, who lived in New Orleans for the year of 1871. NOMA is one of the top things to do in New Orleans for anyone interested in art, and is a great way to spend a day. For just $2 you can ride the Algiers ferry across the Mississippi River to to Algiers point, and enjoy some fantastic views of the city along the way. The ferry ride traverses the crescent shape of the city, ending up on the westbank in Algiers point. Hop off the ferry and spend the day exploring the charming neighborhood of Algiers, which has retained its old-time village charm. Jazz musicians of the 1920’s referred to Algiers as the “Brooklyn of the South”, making reference to the close proximity of the neighborhood to the city – as Brooklyn is to New York. The neighborhood spawned plenty of wonderful jazz bands and musicians, and the jazz walk of fame along the levee is a must see! There are plenty of cafes and pubs where you can grab a bite to eat or a refreshing drink before you head back to the city. A trip to Algiers makes for a great escape from the city, and is one of the best things to do in New Orleans. Maybe graveyards aren’t top of your list of things to do in New Orleans, but the spooky atmosphere and incredible architecture is definitely worth a look. 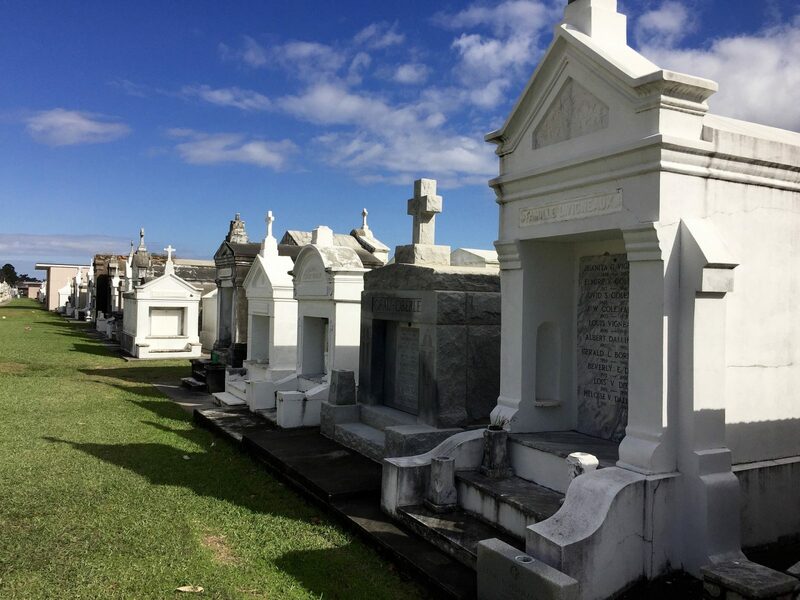 Some of the best New Orleans attractions can be found in the numerous cemeteries dotted around the city. 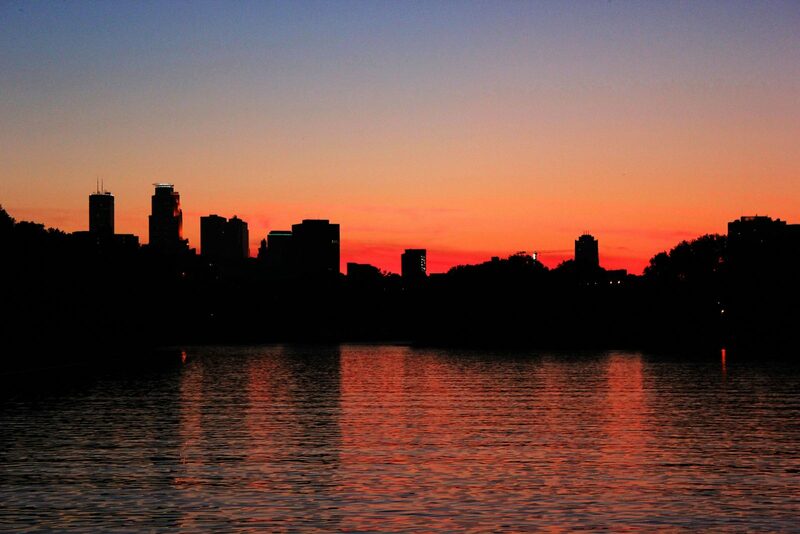 The most famous of these “cities of the dead” are the St Louis cemeteries. St. Louis Cemetery No. 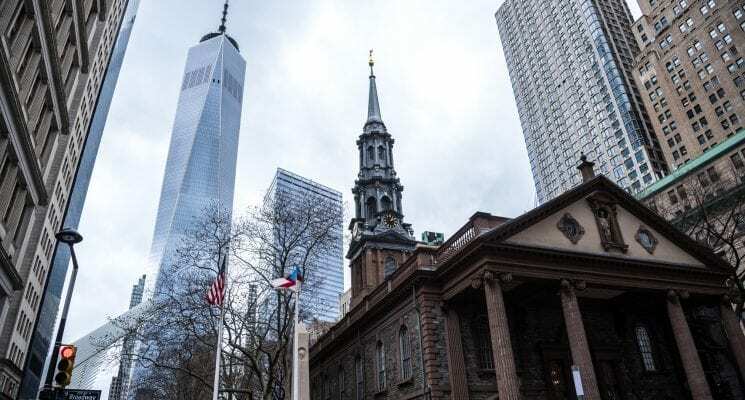 1 is the oldest cemetery in the city, dating back to 1789. Here is where you can find the tomb of New Orleans’ very own Voodoo Queen Marie Laveau, who is said to have been buried there in 1881. Amateur occultists and inconsiderate tourists used to cover her tomb in “X”s in the hopes that the voodoo priestess would grant their wishes. Nowadays, a huge fine awaits anyone who is caught vandalizing the tomb. Indulge in Cajun and Creole Cuisine! If there’s one thing New Orleans is known all around the world for – it’s for food. We could write for hours about the mouth-watering dishes on offer throughout the city, but in the name of keeping things concise (and not giving our readers hunger pains) we’ll limit it to a few highlights. New Orleans cuisine combines a few major influences to create a gastronomical infusion that’s nothing short of delicious. The Creole cuisine that New Orleans is famous for is a fusion of French, Spanish, West African, and Native American cuisine that combines to create a unique cuisine not found anywhere else in the world. Other New Orleans cuisines include Cajun and Soul-food. Some of the must-try dishes when you visit New Orleans are gumbo, crawfish etouffee, po-boys, jambalaya, boudin, fried catfish, muffalettas, and beignets. 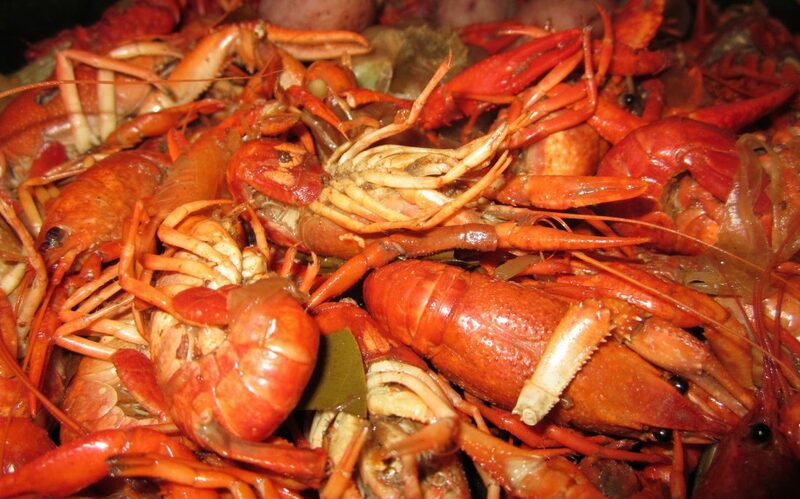 If you’re lucky, you’ll visit during crawfish season and can dive elbow deep into a crawfish boil. It’s a messy feast, but well worth it! The best thing about the food in New Orleans is that it’s generally affordable! If you’re a true foodie, then a food tour of the French Quarter is the ideal way to spend your day, and stretch your waistline! It’s always great to find some green space hidden among the bustling crowds and traffic of a major city. City Park is New Orleans answer to this human desire for nature. The expansive park is a breath of fresh air for city dwellers and weary travelers. The park area covers 1,300 acres, and is filled with oak trees, lagoons, ideal picnic areas, and calming walking trails. An outing to City Park is one of the best things to do in New Orleans if you’re looking for a break from city life. We recommend taking a picnic (grab a few of those muffaletta sandwiches and some cold drinks) and exploring the park by foot or bicycle. 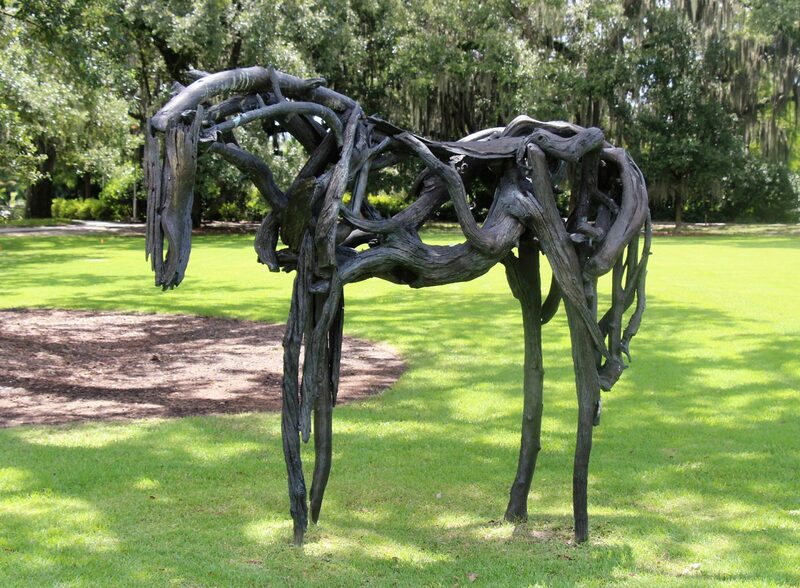 The park is also home to the Besthoff Sculpture Garden, which contains over 60 sculptures from contemporary artists from all over the world. The New Orleans Museum of Modern Art (we mentioned it earlier) is inside City Park, so a great idea is to combine these two New Orleans attractions and make a day of it! 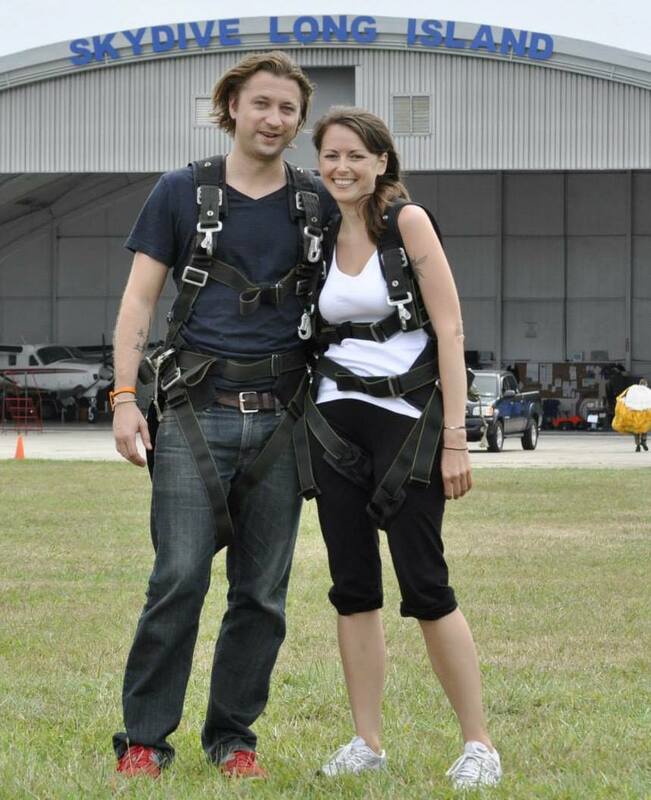 India House Backpackers has made a name for itself as one of the best hostels in New Orleans. 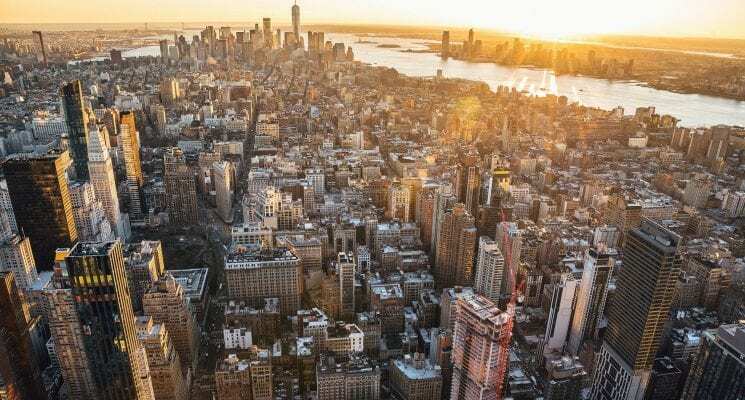 Travelers wanting to make the most of their experience in this incredible city without breaking the budget should definitely book a bed here! 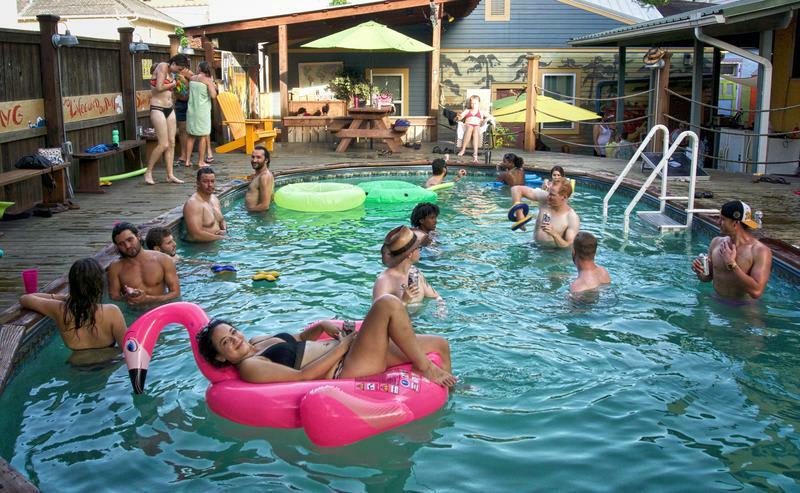 This social hostel is a great place to meet new friends if you’re a solo traveller, and the outdoor swimming pool is just a fantastic bonus! Offering private and dorm rooms, a fully equipped guest kitchen, and a myriad of activities to get to the know the city like a local (we’re talking pool parties, pub crawls, and daily tours) this is definitely one of the best places to stay in New Orleans! Auberge NOLA hostel deserves its title as one of the best hostels in New Orleans, as it successfully combines a social atmosphere, great price, and fabulous facilities. 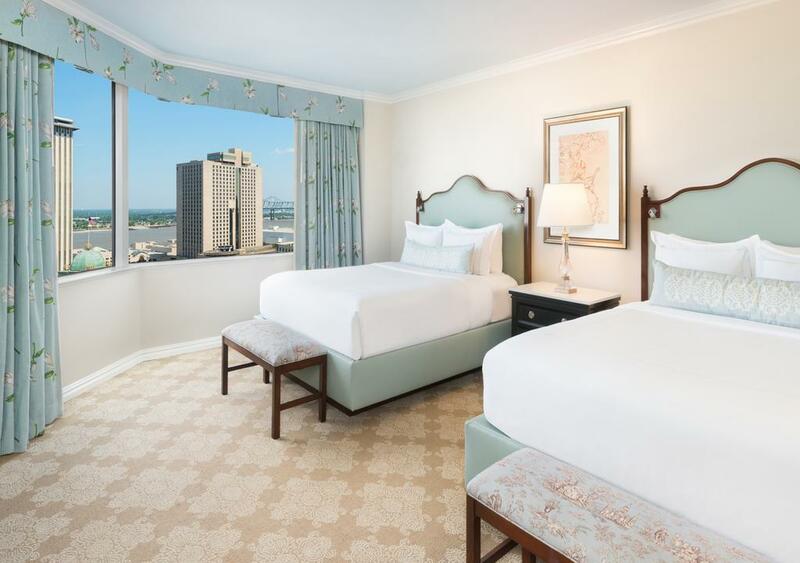 When you book a bed at Auberge Nola you’ll be provided with everything you need for a comfortable night stay, allowing you to make the most of your days in the Crescent City. 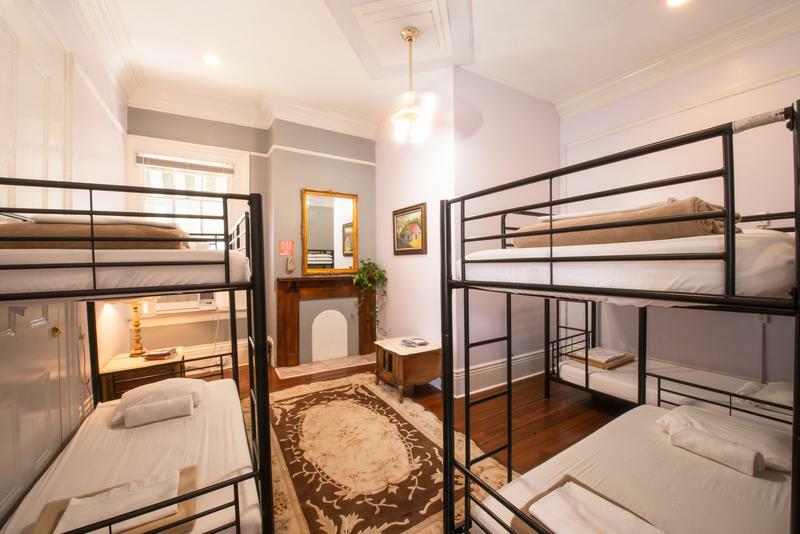 Situated in a historic building in the centre of the city, this hostel offers spacious dorm rooms and plenty of communal space where you’re guaranteed to meet fellow backpackers eager to explore the city! 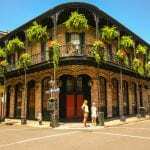 If you’re visiting with your significant other, or simply prefer more than privacy than a hostel dorm room affords you, then a budget hotel is a great accommodation option for visiting New Orleans on a budget. The Quisby is one of the best hotels in New Orleans because of its fantastic central location, friendly staff, and comfortable lodgings. The modern decor and great facilities make this the ideal place to stay in New Orleans! Windsor Court hotel is a centrally located, affordable hotel in the heart of downtown New Orleans. It’s great proximity to all the best New Orleans attractions, wonderful facilities, and fantastic onsite restaurant are just some of the reasons why it’s one of the best hotels in New Orleans. If you’re looking for an affordable private room in the centre of the city, then we can’t recommend Windsor Court Hotel enough! Want more great accommodation options in New Orleans? Click here! This post is very helpful Sara and also looking at the photos is just great and wonderful.